Home » SEO » How to Build Backlinks for Your Blog / Website? How to Build Backlinks for Your Blog / Website? Backlinks are some of the best-proven methods to increase traffic to your site or blog. At the same time, one cannot just increase the number of backlinks and expect the traffic to increase. Only the sites/blogs with the best content or a well-structured blog can enjoy the perks of hosting quality backlinks. There are certain strategies on how to build great backlinks. Some of the strategies are listed below. A backlink is a link that targets to your site. Any link from other blog/website that points to your blog is known as a backlink. This means that the blog is finding the content of your blog to be resourceful. As the common notion goes, Content is king. Only the professional content writers can bring about the touch of using the right keywords at the right places without explicitly revealing it. The content should be updated regularly. Most importantly, it should match the current needs of the readers. Only when your blog/site is fulfilling the requirements of the readers, they will be more interested in reading your blog. There are also a lot of nuances in creating an impressive blog post. There are a lot of site owners who take content for granted. Content is the main key to making searches on the search toolbox. It is not that you need to use impeccable language in your content, make sure it is appealing to the audience. Make sure to stick on to the main purpose of your blog/site. You can channelize your blog’s content but you should not deviate from it. The concept of Guest Posts might sound a bit old-fashioned or cliched but never underestimate it. There are a lot of newer upcoming sites that are on the constant lookout for quality content. You can benefit by posting guest posts without having to pay. These new sites would only be more than happy to receive quality content. If you deliver best quality guest posts, this, in turn, increases the reputation of your site. You might wonder as to how the Public relations have a role in creating quality backlinks. The backlinks are targeted to your site from another page. In order to get backlinks from sites that enjoy a lot of traffic, you need to maintain good public relations. Try to attend a lot of blogger conferences and make people aware of the blog you are running. There are a lot of famous and successful bloggers out there to lend a helping hand to the upcoming bloggers. All these are possible only by networking. 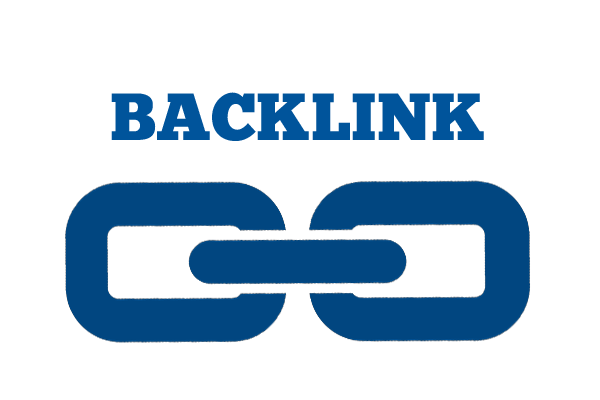 There are certain modifications which when made can pave way for the inclusion of fewer quality backlinks without having to include a lot of backlinks. You need to maintain a site free from all sorts of technical issues. The technical issues make the readers very much uncomfortable with your site/blog. There are a lot of tools to check the various technical issues your blog might face. The first and foremost problem that pisses off most of the readers is a page that loads slowly. You must make sure your page loads fast in order not to lose the readers. It is also a known fact that the mobile reading has become paramount. People read more on mobile phones than reading using computers. Check if your site/blog is mobile friendly. This is one of the unnoticed but the main issue. The other errors like 404, Meta Data can be solved easily by using a few tools. The architecture of your site also matters a lot while creating good backlinks. The site must be designed in such a way that it doesn’t perplex the readers and it paves an easier access to the backlinks in your page. The need to check the outbound links is a must to attain the full benefits of the backlinks. When you have a lot of unnatural outbound links from your site, then it becomes difficult to attract the other readers using the backlinks. The blogger or the site owner might be very careful to check for the links that target to another page, but they sometimes miss out on checking the comments section of the blog. There are a lot of unwanted links that are provided in the comments or discussion section that hampers the quality of your blog. There are a lot of instances where you will be forced to face the penalty for the induction of spamming links on your blog. There is no use of linking a co0kery recipe to a travel blog. This only reduces the readership. Make sure the backlinks provide access to relevant content. Never include backlinks for the sake of including it. As much as backlinks are important, the anchor text is also important. You need to use the anchor text on your blog wisely. There are a lot of nuances associated with the placement of anchor texts in your article. It is not suggested to place the anchor text at the end of the article. At the same time, it is not advised to use all the anchor texts all at one place. The anchor texts need to be distributed throughout your article. This is one of the biggest blunders of the new and enthusiastic bloggers commit. Care should be taken to note that the backlinks are not bought. This is a total waste of money and resources. This is the process of creating the best out of the content that is already receiving good attention. This is one of the tactics which successful bloggers follow to create top quality backlinks. This also comes handy during times when you are drained out of ideas. These are some of the things you should keep in mind to create quality backlinks for your blog or website.